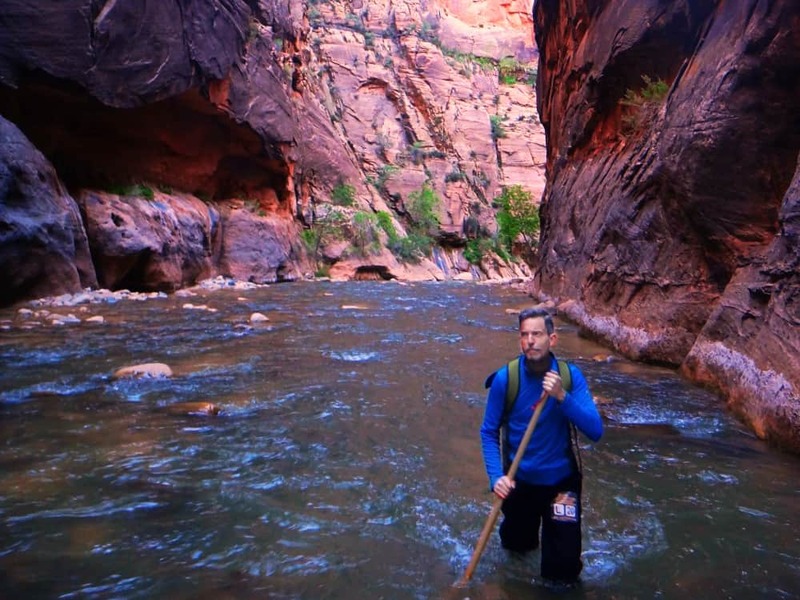 Utah is the place to head to for adventure and enjoying nature. Not only are there are 5 national parks within the state, but there are also plenty of other hikes including lake hikes, slot canyon hiking and trails leading to unique waterfalls. 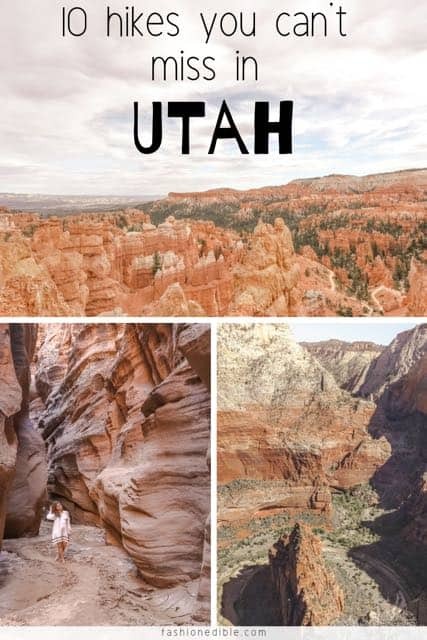 It’s best to visit Utah in sections since the state is so big or to plan on a minimum of 7 days, especially if you’re planning to hike most of your trip. If you’re visiting during the summer, make sure you pack appropriately and bring sunscreen. It gets extremely hot during summer and since you’re hiking in the desert on many of these trails, you won’t be able to find much shade. Slot canyons bring a worrisome danger of flooding so just keep an eye out on the weather forecast no matter when you’re visiting. 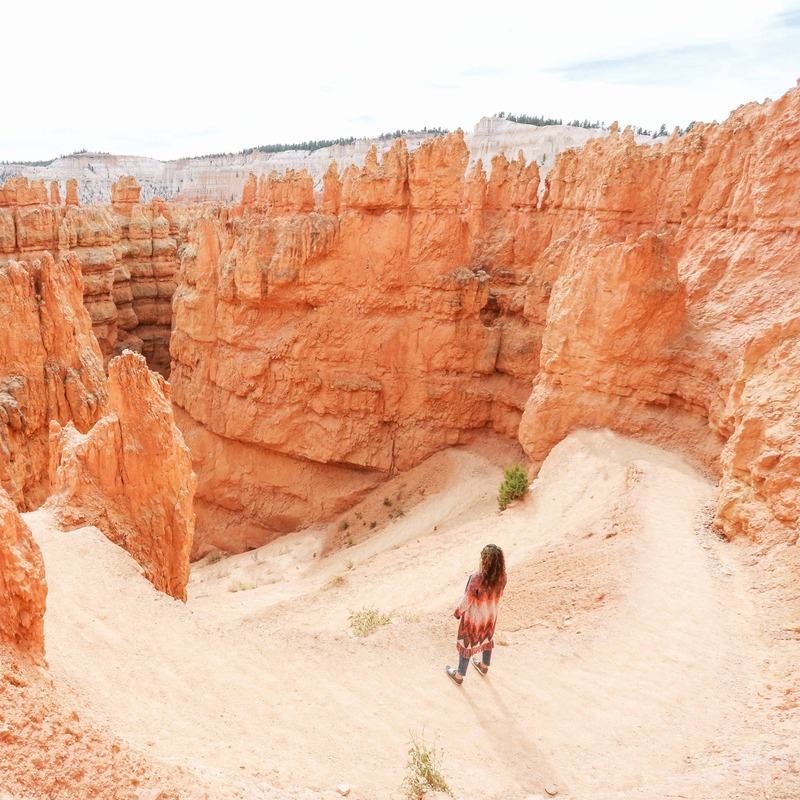 Regardless, these best hikes in Utah are well worth the extra planning! 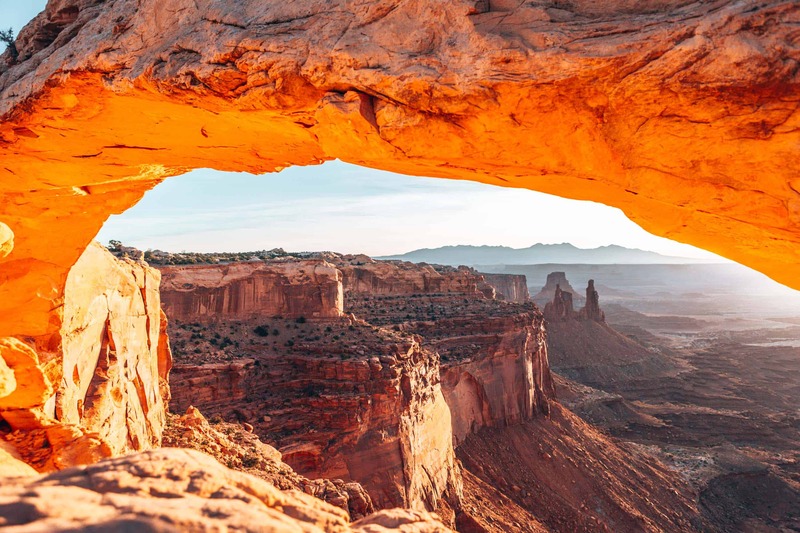 For more help on planning your Utah trip, check out the 5 National Parks in Utah and Tips for Planning Your Utah Road Trip. 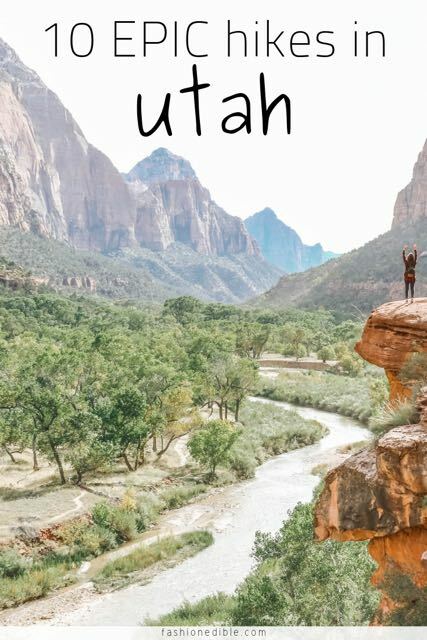 Still not sure you want to visit Utah? 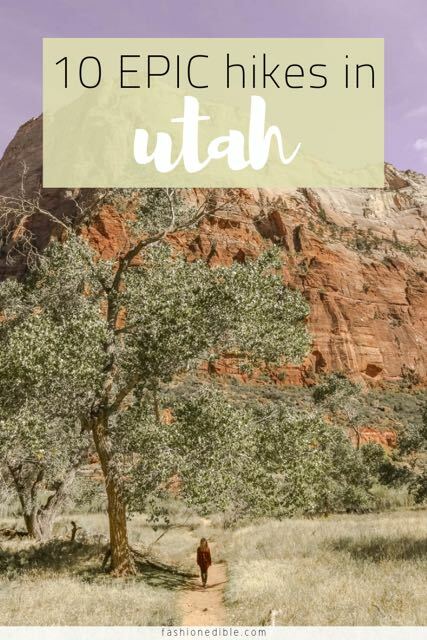 Then maybe this post on the 10 Reasons Why You Should Visit Utah will convince you! As I mentioned above, the state is big and it takes a long time to travel between parks, even though they might appear close on the map. I remember thinking we could do two hiking trails (Arches & Canyonlands) in one day while I was in the planning stages. Obviously I was being overly ambitious and unrealistic especially since we were planning on hiking more than one trail in Arches. Let’s not forget that each of these parks charges a hefty entrance fee so visiting for anything less than a day doesn’t make much sense either. One thing to note, Google maps gives you directions to the outside entrance of the national parks. It will take at least 15 minutes if not more to drive to the actual trailhead, something which maps does not do a great job of calculating. 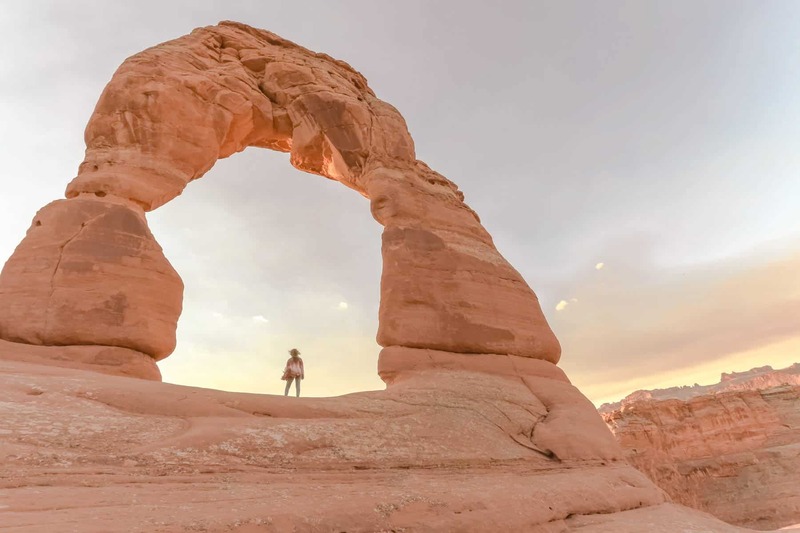 Delicate Arch Hike – Located within Arches National Park in Utah, this hike is best done in time for sunrise. Leave early in the morning (give yourself an hour and a half to hike this 3 mile trail before the sun rises) and bring water and a small snack. The beginning of the trail is pretty strenuous but completely doable with proper footwear. 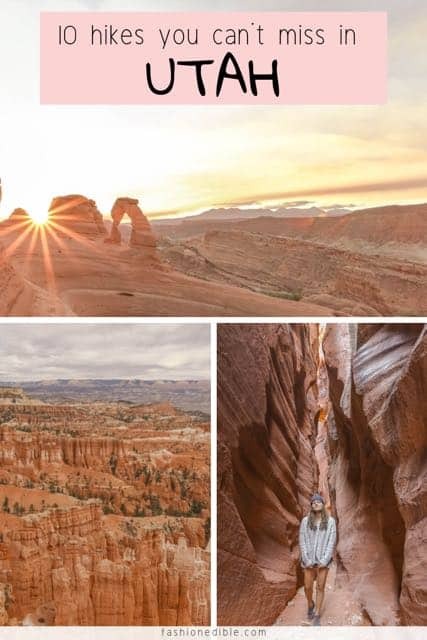 What I think makes it one of the best hikes in Utah is Delicate Arch, an amazing rock formation amidst a desolate expanse that greets you at the end of the trail. It’s truly a memorable experience! 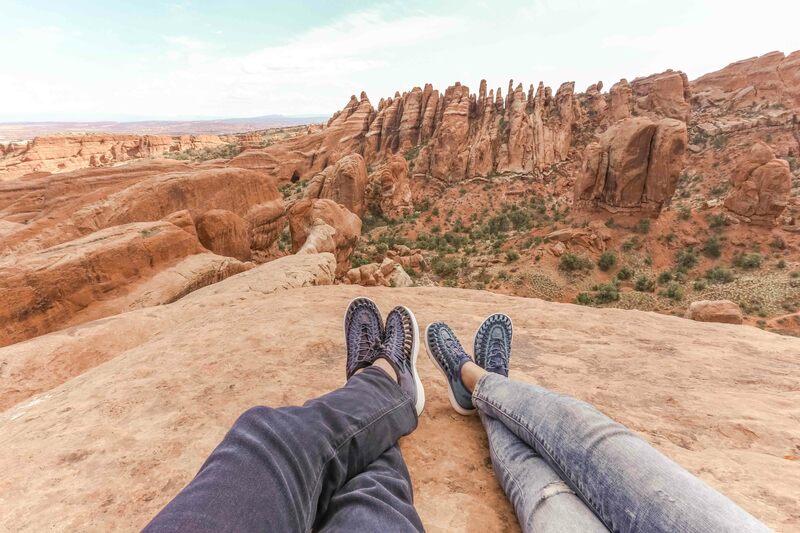 Devils Garden Loop Trail – This trail is located in Arches National Park and extends about 7.5 miles in a loop. Even though some people say it’s heavily trafficked, we only saw a handful of people when we hiked it. 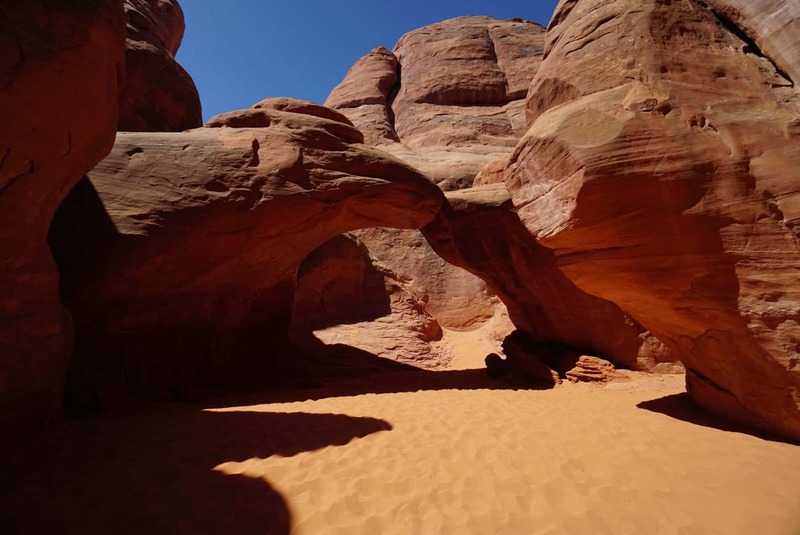 It’s a beautiful trail that weaves through desolate desert and rock formations and takes you to many more arches that you wouldn’t normally be able to see if you hiked the popular Utah hikes. The trail is long but it’s a pretty easy to moderate hike. If you want to combine this hike, you can do Delicate Arch in the morning and then start on Devils Garden Loop around late morning. 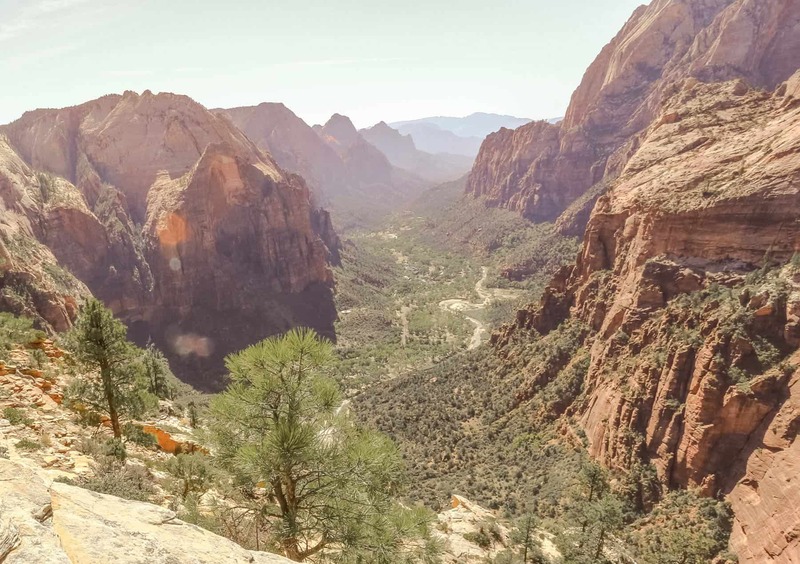 Angel’s Landing Hike – Angel’s Landing is a must do hike if you’re visiting Zion National Park in Utah. It is not an easy hike and I would probably rate it as difficult because not only is it 5 miles round trip but it is steep uphill (with lots of switchbacks) for almost half of it and it does have quite a bit of an elevation gain. On top of that, the trail weaves its way on the edge of the mountain at times. It’s perfectly safe assuming you exercise caution and there are ropes to help you if you’re afraid of heights. The views are well worth it, though! Take a lot of water and a snack to enjoy at the top. 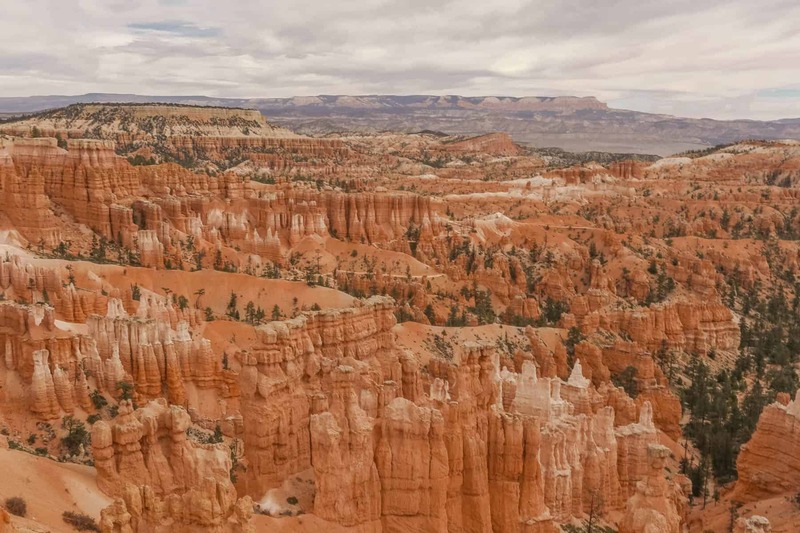 Navajo Loop and Queen’s Garden Trail – This is an awesome 2.6 mile hike that takes you through hoodoos and sweeping mountain views. The beginning of the hike is pretty hard as it’s all uphill switchbacks but then it evens out a bit as you stroll through desert lands. 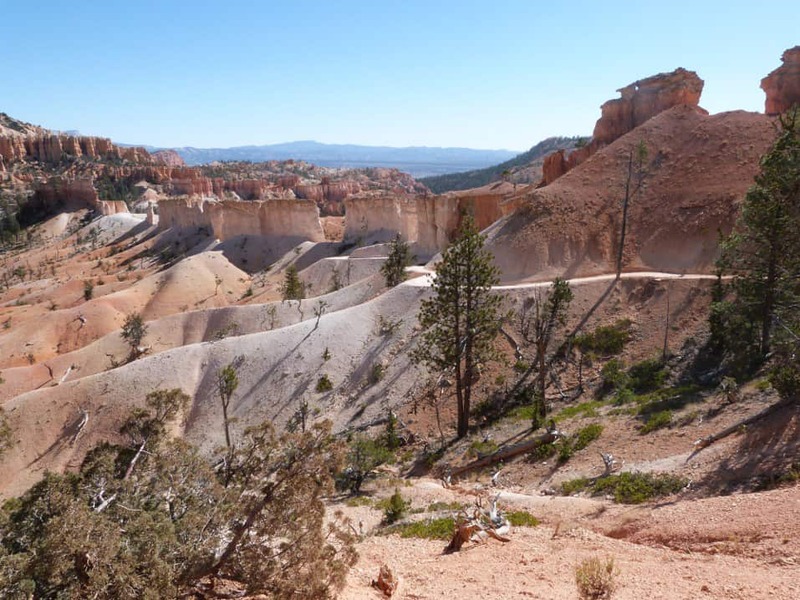 You can easily combine this hike with another Bryce Canyon hike as it only takes a few hours to complete. Wire Pass Trail/Buckskin Gulch Hike – Buckskin Gulch is a slot canyon that is part of the Grand Staircase-Escalante National Monument and Paria Canyon-Vermilion Cliffs. Though Buckskin Gulch extends over 20 miles long, you can hike sections of it. We hiked starting from Wire Pass Trailhead and continued for a few miles and then turned around and came back to explore the other side. Alternatively, you could hike from Wire Pass Trail to Whitehouse Trail Head and camp overnight. We had no hiking equipment with us and no wet gear so the pools of water basically determined where we stopped hiking. The slot canyon is gorgeous and virtually untouched. There are only a handful of other people hiking it so you’ll most likely have portions of it to yourself. Buckskin Gulch is known for flooding quickly creating unsafe situations. Don’t hike it in the rain and pack proper gear. I’d rate this hike as an easy hike assuming you only hike a few miles. Plan on a difficult hike if you’re camping overnight or completing the length of it. 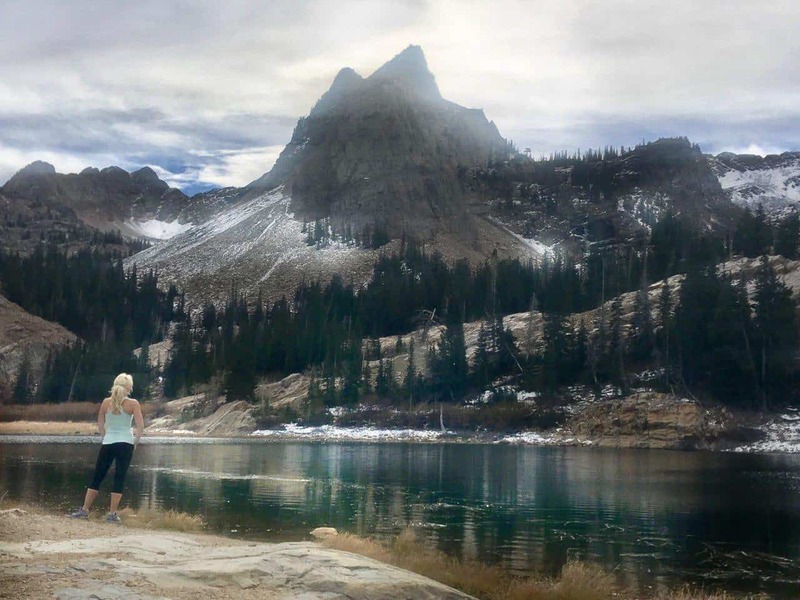 Lake Blanche Hike – One of the more popular, moderate/difficult hikes that is easily accessible from the Salt Lake Valley is the hike to Lake Blanche. The Lake Blanche trailhead is located in Big Cottonwood Canyon and the hike is approximately 6.5 miles out and back. The trail is well marked and can be strenuous at times with significant elevation gains, but it is very easy to follow. The trail is accessible year round and typically sees the most activity between late May and October. In the winter months be sure you are prepared for cold weather and hiking in the snow. As you head up the trail make sure you take frequent glances behind you because as you rise in elevation the view of the canyon below is amazing. This is great! 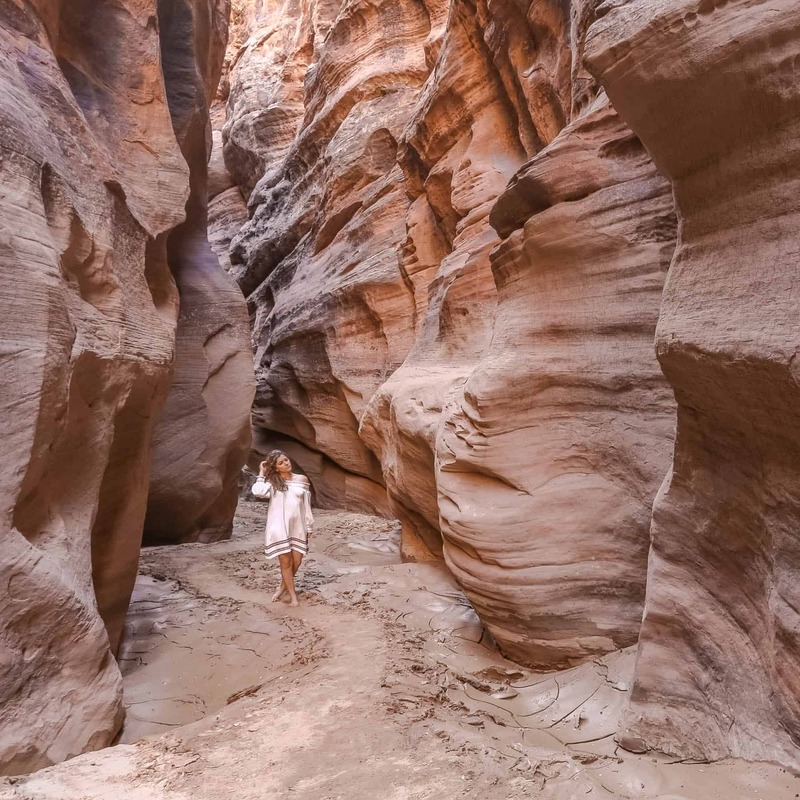 We are planning a trip to UT this spring and I’m adding Buckskin Gulch to our list – it looks incredible! Awesome. You’re going to love it!